The sailing industry in Greece is very much matured with extremely well maintained Yacht chartering services available readily. There is no better action in Greece than sailing its beautiful waters. Sunny Sailing offers one of the best Yacht charter in Greece. Every Yacht here is as good as new and its filled with all the luxury wanted to make your sailing trip enjoyable and most comfortable one ever. They also have interesting Flotilla sailing packages that is best opted by tourists who travel with family and kids. The Ionian seas provide the perfect location to start sailing in Greece - Despite losing some of its freshness and most of the flowers, the Ionian and Northern Aegean islands will remain green and fertile throughout the whole sailing season. You can really avail good and economic Yacht charters before May. From the last week of July to the first week of September the beaches of Greece attracts a lot of tourists and there may be a demand for Yachts. So its always advisable to pre plan your trip and book your Yachts before hand over the net. Hiring a Yacht and setting sail in Greece can be one of the most relaxing moments you had in life. You could relax and read on the deck of the boat with no disturbance at all and enjoy the beauty of nature to the full. 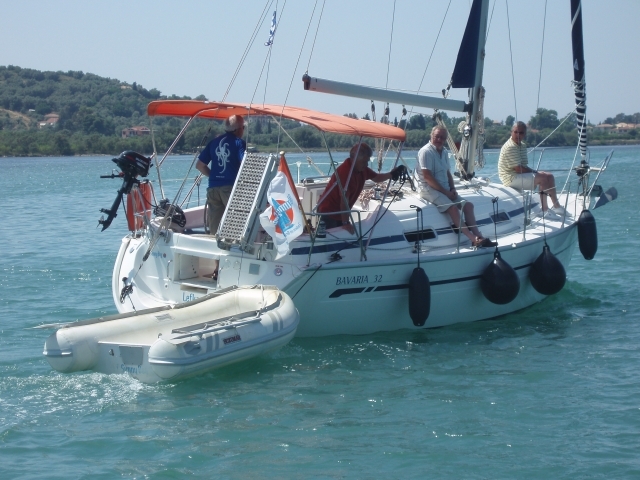 Here is what a tourist had to say about Yacht charter in Greece, "One thing that surprised me is how affordable it was. It is about $230/night total per couple and when you consider that includes two meals, some tour guiding, lodging and transportation its probably cheaper than if you took a train, ate in restaurants, and stayed in hotels."